Many movies try to balance comedy, action and drama but nearly all fail. Gross Pointe Blank is the rare beast that succeeds, bringing together a film that constantly throws you curve balls without becoming predicable. 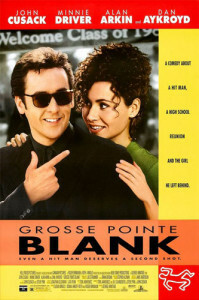 John Cusack plays Martin Blank, a professional assassin who’s sent on a mission to a small Detroit suburb, Grosse Pointe, and, by coincidence, where he grew up and where his ten-year high school reunion party is taking place at the same time. Dan Aykroyd also must get a mention as a rival assassin as his performance is just brilliant. 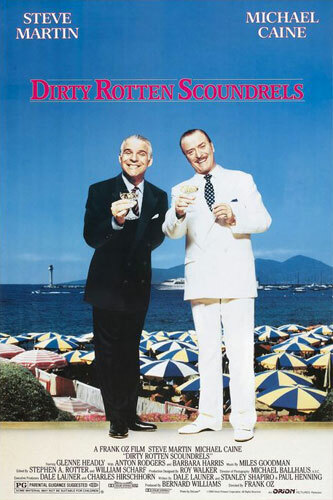 Despite its age, Dirty Rotten Scoundrels has such a clever plot and great central performances from Steve Martin and Michael Caine, that it still makes for must-watch viewing. The plot follows two con-men; Lawrence and Freddie, one big-time and one small time respectively. After trying to get along, they decide that the town isn’t big enough for both of them and decide to make a wager of who can swindle an heiress out of $50,000 first, with the loser having to leave town. 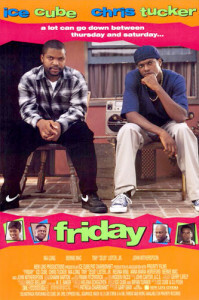 If Seinfeld was the show about nothing, then ‘Friday’ is the movie about nothing, two guys sitting on a porch during a hot summers day in the hood. 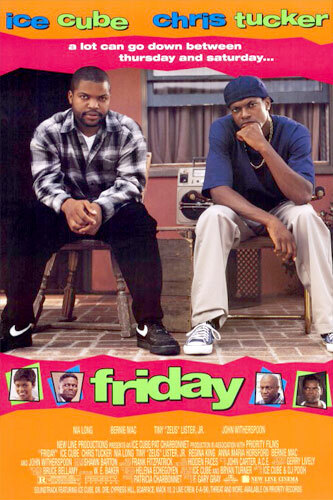 What makes this great is Chris Tucker. The guy is hilarious throughout with his character dealing with a neighborhood bully, relationship troubles, an angry drug dealer, and a lot of other odd characters. It spawned some sequels but the first is still the best. The plot may seem a little played, with a man tracking down the ‘one that got away’ from his high-school days, but the Farrelly Brothers pack the movie out with characters so well rounded and situations that are unbelievably funny, the whole film just fires on all cylinders. There are just so many classic scenes so chose from with the main cast all being note-perfect. Matt Dillon needs a special mention as the sleazy private eye trying to cozy up to Mary. A true classic, with the zipper scene, the dying dog, the hair gel and every time Lee Evans drops his keys. Brilliant. 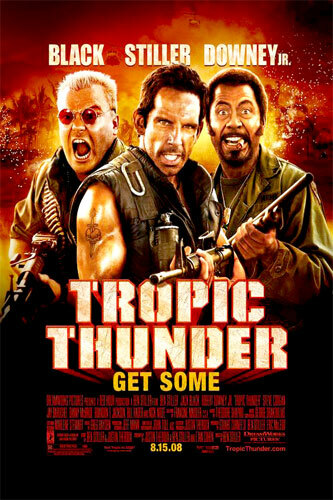 Ben Stiller both starred and directed this tale of a group of actors who whilst shooting a big-budget war movie on location, are forced to become the soldiers they are portraying. Robert Downy Jr. is probably the stand-out performance as a black-faced full-on method actor, but the film does a fine job of satirizing Hollywood and the film industry but maintaining loads of laughs along the way. Starring: Ben Stiller, Jack Black, Robert Downey Jr.
With the simplest of plots; a drunken one-night stand results in unplanned pregnancy – comes a movie that’s perfectly written and cast. Seth Rogen was just born to play the role of the weed-smoking slacker that accidentally gets Alison ‘in the club’. But writer/director Judd Aptow drew on real-life experiences to flesh out the characters and storyline, making the whole thing feel realistic but still full of laughs. 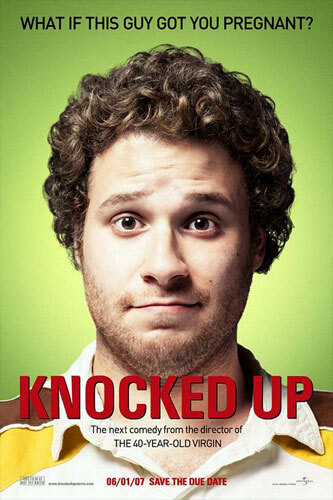 Seth Rogen really does make the film, but he’s that enjoyable I could watch him count out grains of sand on a beach and still be entertained. A Woody Allen classic from his early days, the story see’s a health storeowner who’s frozen after an operation in 1973 and wakes up 200 years later. 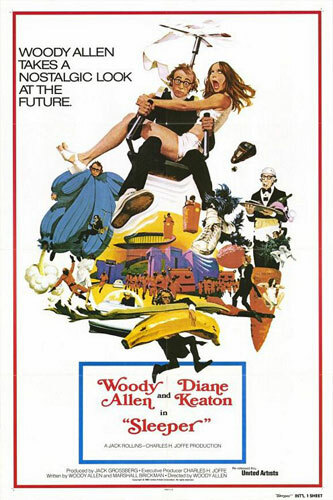 The film is clever, witty and very funny, with Woody’s character having to give history lessons on the 1970s, pose as a robot, and becomes a anti-government revolutionary to be near Diane Keaton. It’s filled with sight gags galore and great one-liners. Although not a big hit on release, this has since gained a huge cult following due to it’s brilliant central premise which manages to bring together both sci-fi and comedy fans. 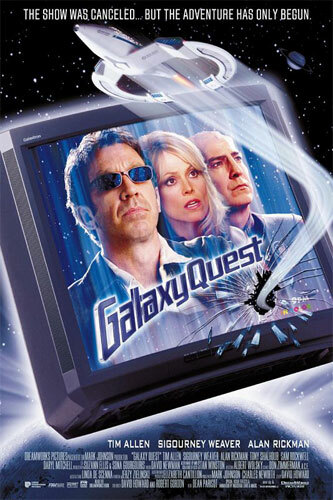 The story follows the stars of a long-since cancelled sci-fi TV series called ‘Galaxy Quest’. They’re unwittingly pulled into an intergalactic rescue mission to help some real-life aliens, who think that their on-screen counterparts were real. The cast and script are superb, walking the fine-line in how it derives comedy from the wreckage of the character’s lives, without ever falling into something too overly dramatic. 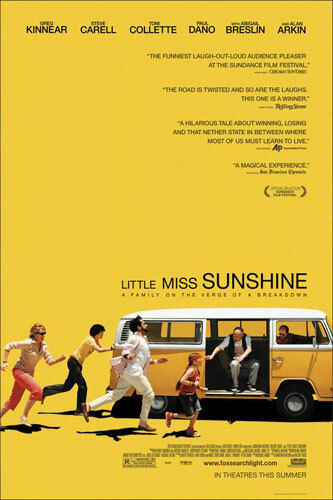 The story follows little Olive, a normal child, who by a complete fluke wins her way into the finals of the Little Miss Sunshine beauty pageant. 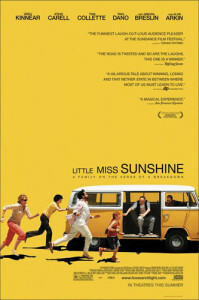 The family decides they must accompany her in their old VW bus, so a road trip ensues. It’s a wonderful movie that’s as funny as it is touching; it steers between pitch-black and quirky comedy but manages to completely charm the audience by the end of the film. Dustin Hoffman is outstanding in his breakthrough role a recent college graduate Benjamin Braddock, who has an affair with his father’s business partner’s wife, Mrs. Robinson. 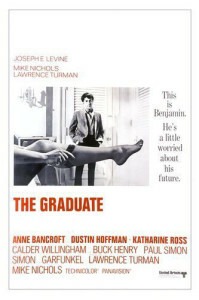 The affair ends, but Ben ends up falling for Elaine, Mrs. Robinson’s daughter, which puts him in a very sticky situation. A true classic, which is timeless due to Dustin Hoffman and Anne Bancroft’s brilliant performances.